Portable Canvas Easel is Ideal for Tabletop Display! Attractive beechwood construction for durability. Adjustable header height for varying sizes of displays up to 12-1/4”h. Countertop design is ideal for promotional signage. 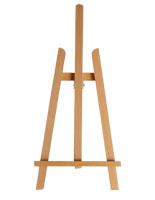 This art stand, portable canvas easel is compact and ideal for tabletop display. Each lightweight unit provides a great way to showcase artwork, magazines, literature and advertisement materials. 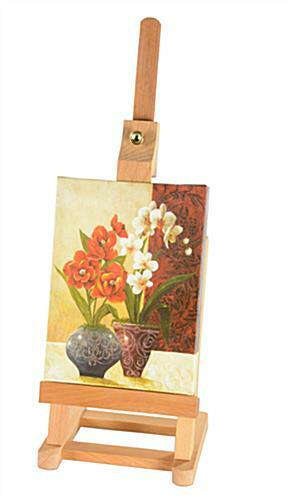 This portable canvas easel that is easily set up can hold a piece of artwork up to 12-1/4”h and 1”d. 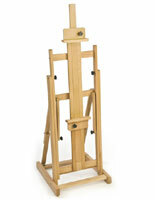 Customers can use this painting stand to exhibit items in art galleries, museums, classrooms and in the home. 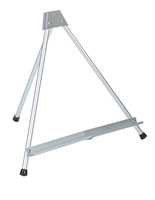 Each drawing stand is durable enough to withstand years of commercial and residential use. This art mount, portable canvas easel that can hold books up to 12-1/4”h can also support iPads and Tablets which provides a unique and attractive way to run advertisements during an event. Each studio mount comes with an adjustable header to accommodate varying sizes of art. 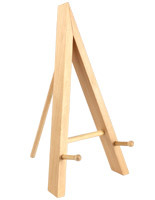 This portable canvas easel helps business owners to grab patron’s attention in a subtle, yet elegant manner. 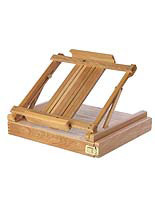 This design rack is a great addition to any craft supply kit. 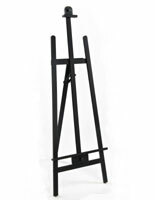 Home owners can use this portable canvas easel, also known as a photography stand, to display framed photographs or artwork on coffee tables, mantels or night stands. This freestanding art holder is also ideal for showcasing advertisements or theater announcements. 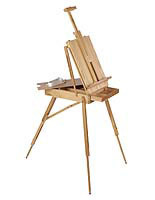 This portable canvas easel that is small enough for children to carry is a great craft supply for classrooms as they are the ideal size for little ones that are just beginning learning how to paint or draw! Each unit is extra light weighing only 1/2lb! 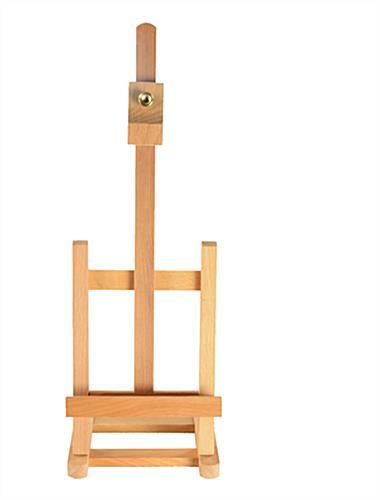 This portable canvas easel constructed of beechwood is an attractive tool for any art gallery collection. Each painting supply such as this stand is offered at a competitive price. 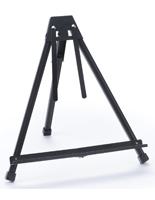 Many companies choose the option to buy this portable canvas easel in bulk quantities for an additional savings. 32.0" x 15.0" x 5.0"
Great quality! Great buy. I ordered 15. The easels were great. I used them for a Paint and Sip Party at my home. They were sturdy and suited my purposes just fine.